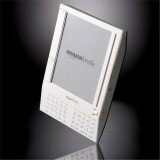 Amazon.com now has 125,000 book titles available for wireless download to its popular Kindle e-book reader. This is up from 90,000 titles just a few months ago. Dozens of newspapers, magazines and blogs have also been added, including US News and World Report, the International Herald Tribune, and the Shanghai Daily. This whole process is interesting because of its speed and also its effect on the publishing industry. Books can usually be downloaded to the Kindle in just a few seconds and typically sell for $10, about one-half to one-third the price of a paper copy. A similar cost ratio applies to downloading newspapers and magazines. The cost seems high to Bob, considering that unlike physical copies, there are almost no production costs involved. In the case of downloaded newspapers and magazines, you get the text and pictures but you don’t get the ads. This is too bad, because ads are often interesting and readers want to see them. A Looking Backwards Note: Many years ago, during World War II, Marshall Field, the Chicago department store mogul, started a New York City daily called “PM” and it carried no ads. Field thought it was unseemly to publish advertisements in a newspaper when the country was involved in a perilous war. He soon found, however, that readers were seriously annoyed by the lack of ads and he ended up having to cover store sales and restaurant openings as if they were news stories. PM soon said good night.